This is what it’s like in the Dream Factory, oh! 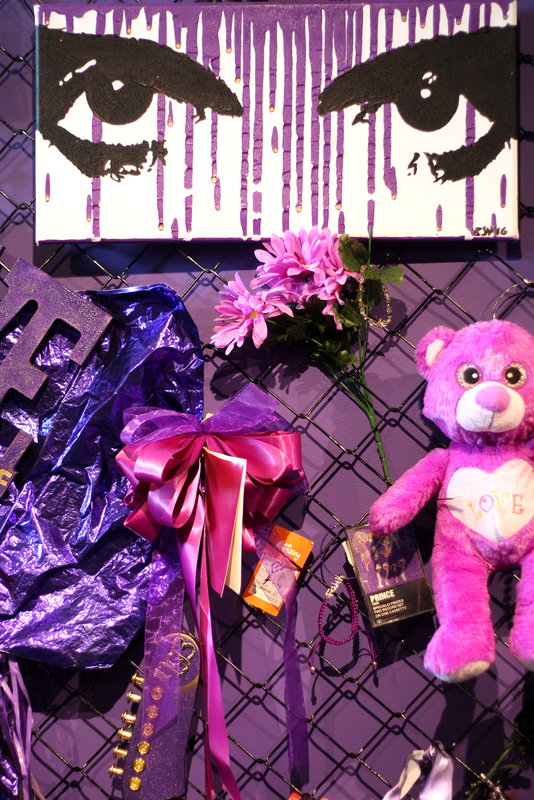 After a false start early last month, Paisley Park has officially opened its doors to the public, celebrating the life of Minnesotan legend Prince. It’s a one-of-a-kind tour that lets you see some of the spaces where the artist worked, created, and relaxed, and if you’re a longtime reader of this site, you know how big a fan I am of the music he created throughout his life, so I jumped at the chance to see it for myself. Over the course of almost 40 years (starting in 1978) Prince released 39 studio albums—and that’s not counting side projects, compilations, or live albums. To say he was a prolific artist would be a huge understatement. 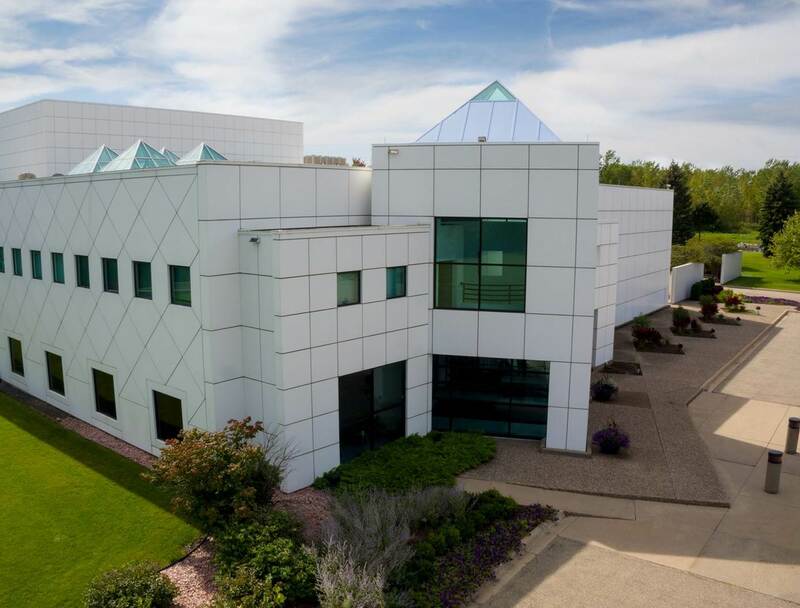 After the worldwide acclaim of Purple Rain in 1984, he wanted to create a haven close to home where he could create and record, and in 1986 construction began on Paisley Park in Chanhassen, Minnesota. 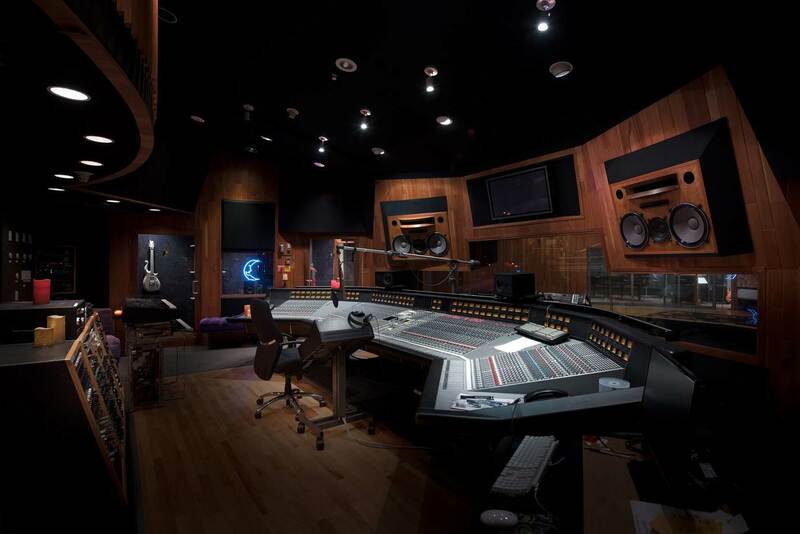 Officially opening in 1987, the 65,000-square-foot complex with three recording studios, a 12,500-square-foot sound stage, editing rooms, and offices was to become a sanctuary for Prince over the next three decades. He would record much of his own historic music there, in addition to renting out the space to such artists as George Clinton, R.E.M., Stevie Wonder, and Aretha Franklin (to name a few). But no matter how long a who’s-who roster of other musicians traipsed through it, it still has his vibe to it. 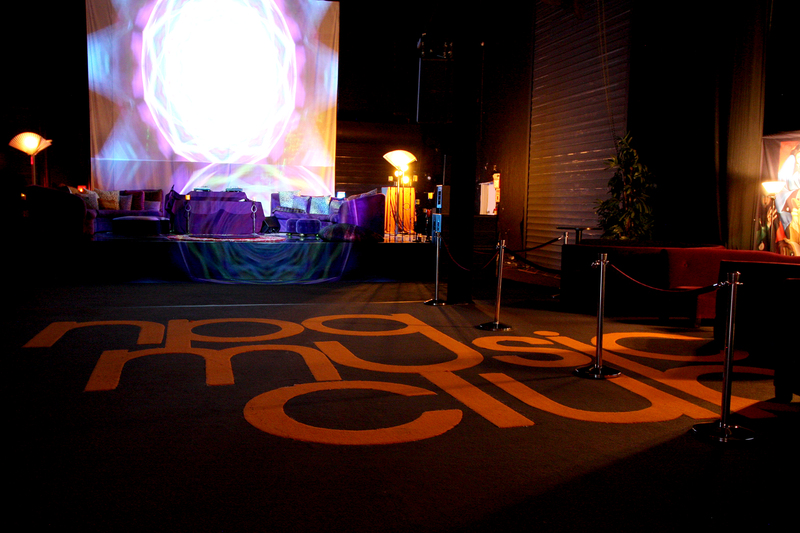 The first thing you notice when you walk in the main doors is the walls. The main atrium is surrounded by a sky of blue with happy fluffy clouds. With doves cooing overhead—Divinity and Majesty are their names—it feels like entering Prince’s version of heaven, soothing and full of positive vibes. 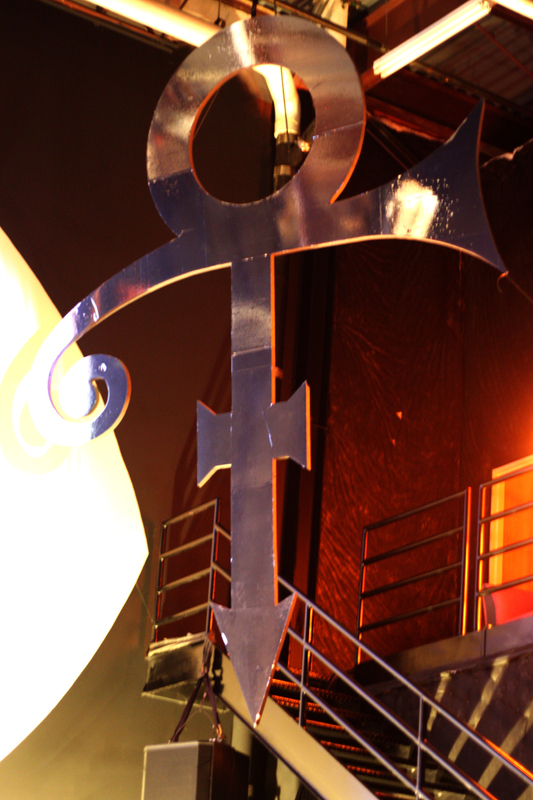 His urn is on full display here, shaped like the Paisley Park complex in miniature, and it brings you back to the reality that we won’t have any new music from this genius again. 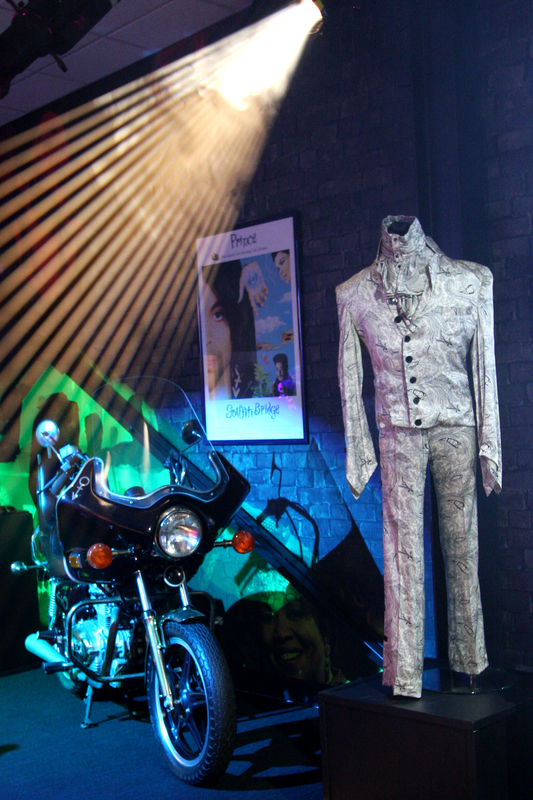 There are a number of rooms off this space dedicated to specific albums in his career, such as Controversy and Diamonds & Pearls, which display handwritten notes, guitars, and other memorabilia related to their creation. Throughout the tour you also get to see a number of different outfits he wore throughout his career, and it’s impossible not to notice that even though his frame was tiny—so, so tiny—he had the presence to control whole arenas when he performed. 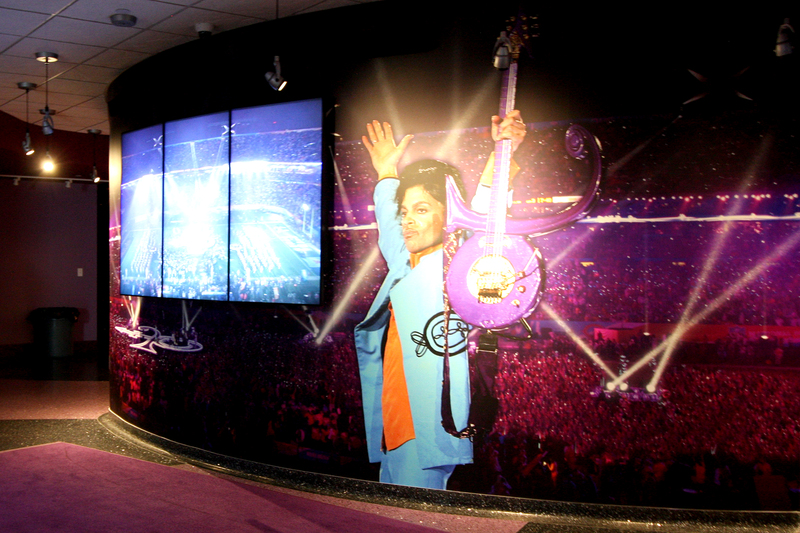 Throughout the tour, you get the full impact of the fact that Prince had complete control over his entire image, not just the music but how he was presented and how he presented himself. 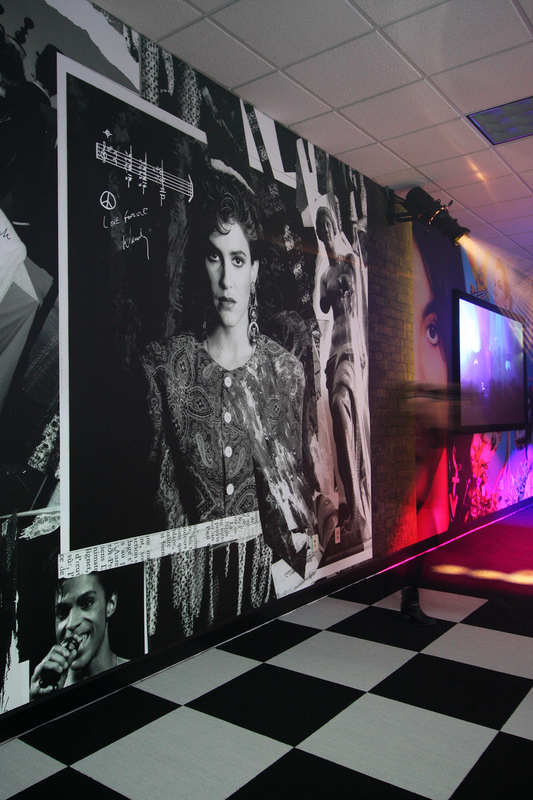 There’s a wall in one hallway set up as a chronology, with pictures of Prince from year to year—something he commissioned while he was alive—and it reinforces how he constantly reinvented and reinvigorated himself physically. With his having been such a big proponent of artists’ rights and intellectual property, it will come as no surprise that no photos are allowed during the tour; you can only take pictures with your mind. 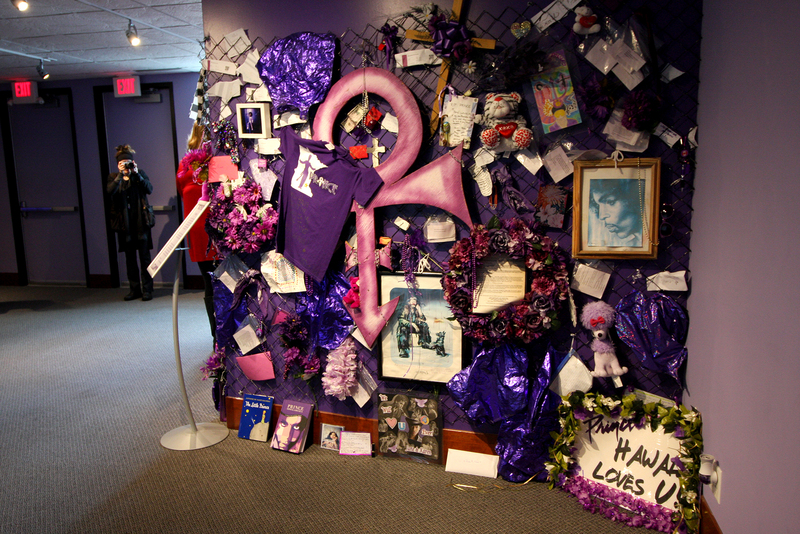 (For the media tour, we were allowed photos in the Under the Cherry Moon/Graffiti Bridge room, the NPG Music Club, and the Super Bowl/memorial room—more on those last two in a moment.) On the VIP tour you do get one photo opportunity in Studio B, but otherwise you’re required to leave cameras and phones in the car or lock them up. 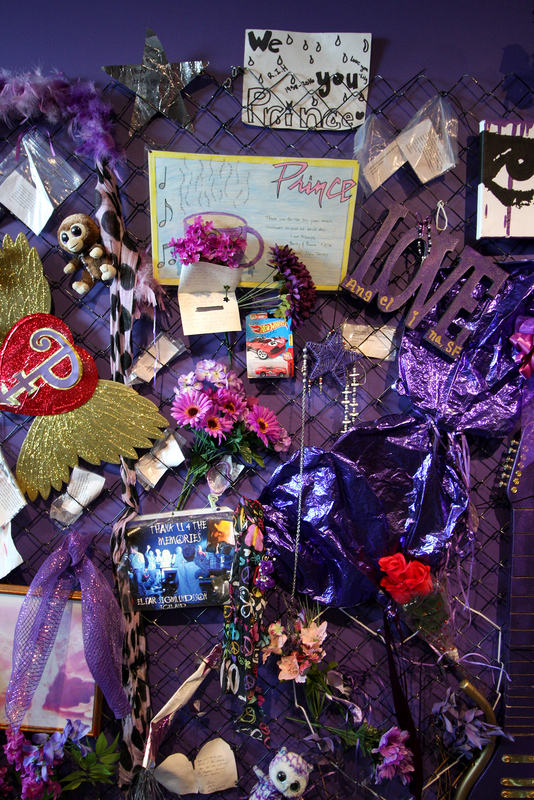 The tour ends with a wall devoted to his epic Super Bowl half-time performance, and across it a snippet of the memorial wall that went up around Paisley Park after Prince passed. With the expected added traffic the tours will draw, the caretakers have removed all the tributes along the fence outside and plan on swapping out the internal memorial wall frequently since things are still getting sent and dropped off. 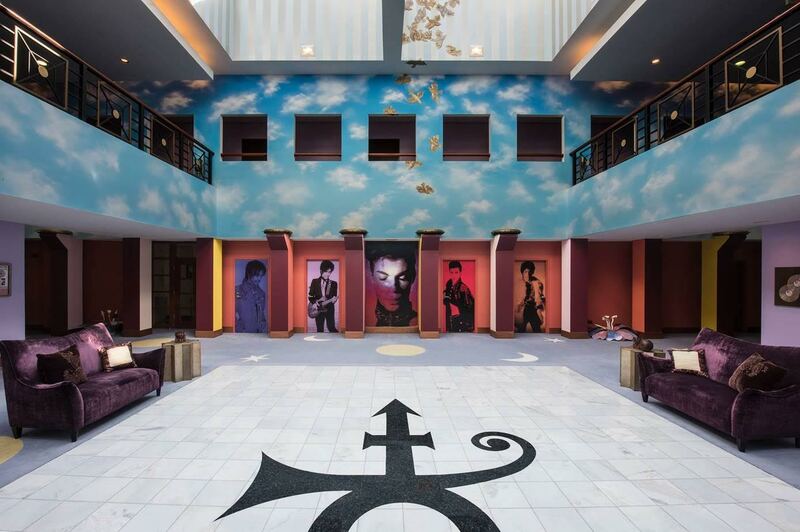 After the tour there is a gift shop—you always exit through the gift shop—and a café offering some of the vegetarian dishes that Paisley Park chef Ray Roberts (of Peoples Organic) used to create for Prince. 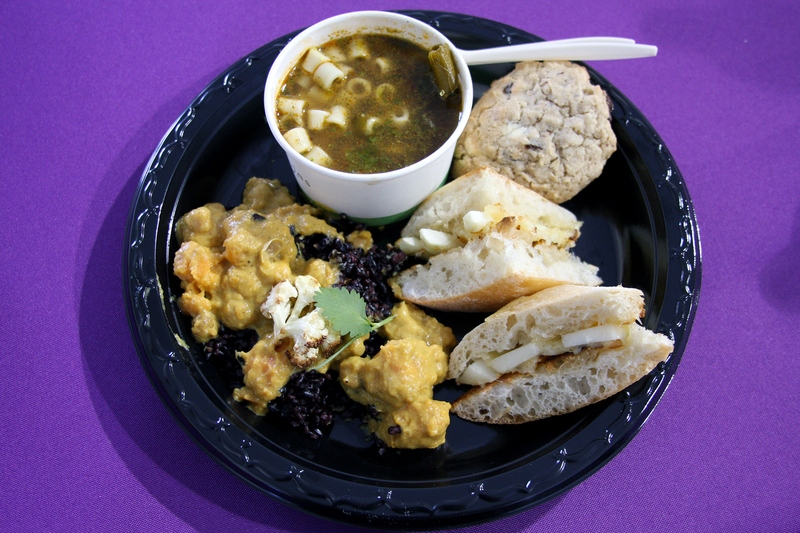 Having sampled quite a few of them, I can say that there wasn’t anything bad among the things I tried; a personal standout for me was the coconut curry with black rice and chickpeas. And yes, you can even order pancakes. 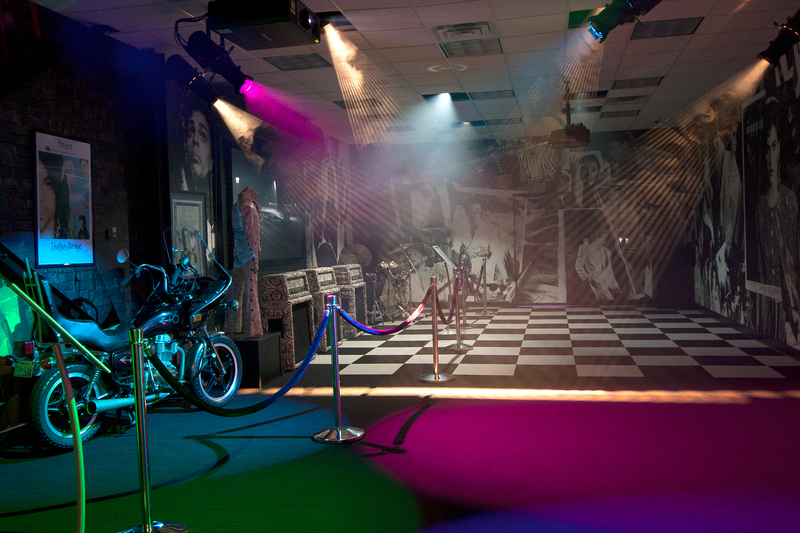 As mentioned, there’s a VIP tour in addition to the general-admission option. 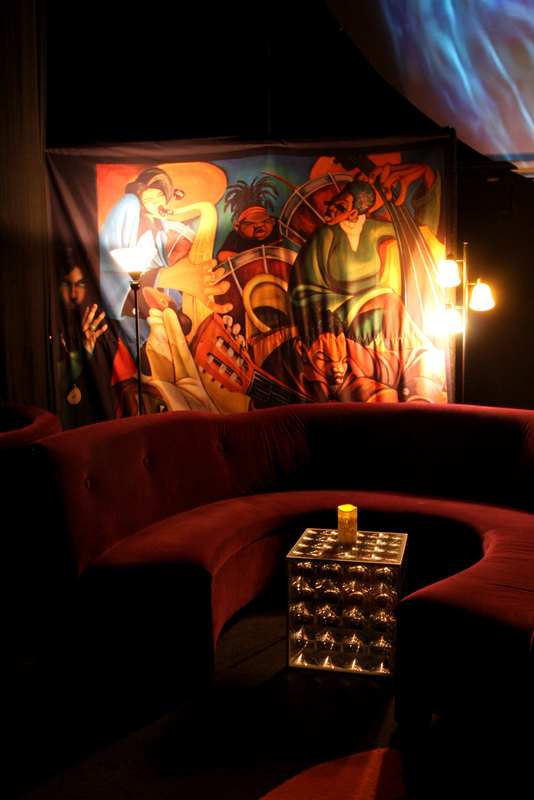 I expect that if you’re making the trek out to Paisley Park and you’re a huge fan, you’ll pay the extra money for the VIP experience. 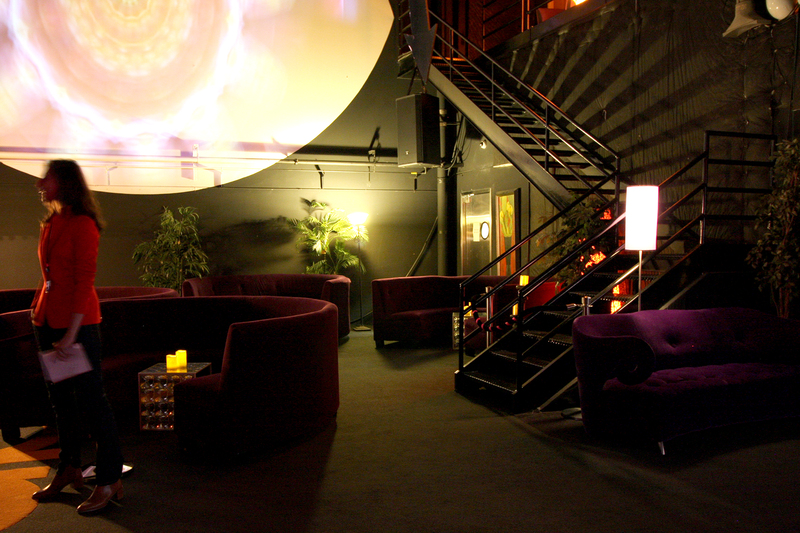 You basically get access to some additional rooms and the photo op mentioned above, so your mileage may vary. All in all, it’s a great tour if you’re a fan. I couldn’t stop singing Prince songs the rest of the day, and it had me revisiting his catalog, which I’m listening to as I write this. I would have liked to hear more personal anecdotes about the artist, and hopefully those will come as the tour guides get more familiar with the space and more people share their Prince stories. And if there’s one thing I’ve learned about living in Minnesota, even if you didn’t like Prince, you probably had a Prince story. General-admission tickets are $38.50; VIP tours are $100 (plus fees). 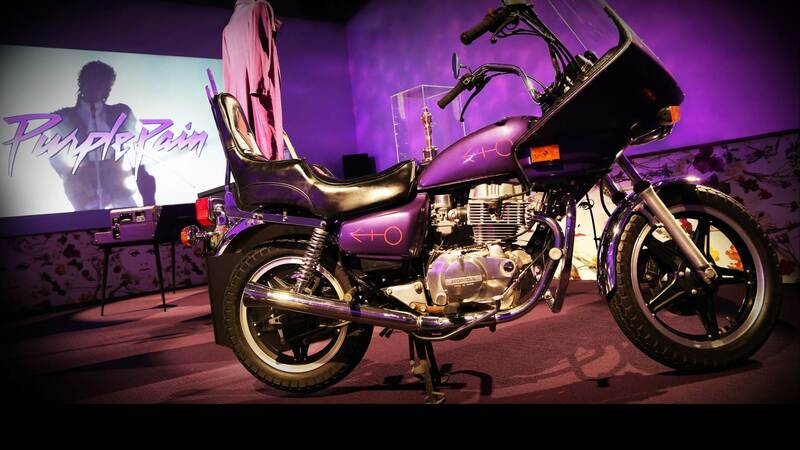 For more information, visit the Paisley Park website here.